Porous-Platform Storytelling – a phrase created by Remark to emphasize the value of structuring social media campaigns so that each medium does what it does best; for example, a cookbook recipe might be introduced on Youtube as a how-to video, expanded through Instagram as a series of visual steps, pinned as a board on Pinterest linking to the cookbook shopping cart, and then on Facebook as video with an expanded description. Each social stream needs to be self-contained so you don’t need to have seen the Youtube video to enjoy the images, and vice versa. Any given platform is a point of entry into the cookbook as a whole. Spreadability – This idea comes from the book Spreadable Media Co-authored by Henry Jenkins. Now that the power of sharing has caught up to the power of content, spreadability, or the ease in which news moves across media landscapes, should be given as much thought as content creation itself. Spreadability focuses on driving robust engagement across platforms through empowering consumers to share the gift of content subjectively. Consistency and relevancy – good old-fashioned consistency and relevancy are crucial to building consumer trust in a brand’s message. This strategy is so simple we often forget it’s importance. Post as often as makes sense for the brand and share content that makes sense for its audience and social platform. Once a post or two resonates, consumers will often become repeat customers; that is, they’ll begin seeking out relevant content posted by the company, interacting with the content and sharing it. Next time a client requests you or your firm to make sure their video, image or campaign goes viral, try using the three tactics to frame your response and strategy. Most companies already know PR is the first step to ‘getting found’ and pushing leads into a brand’s Marketing Funnel. However PR also trickles down into every layer within the funnel. Earned media is often shared across a brand’s social channels along with PR provoked user generated content to create a constant stream of robust social activity. Follow up PR often spurs testimonials from media and consumers which can be used in a brand’s digital ads as well as in new pitch angles when reaching out to relevant media. The cycle never ends. Even after leads are converted into sales, a good PR team will then mine for a brand’s genuine advocates – whether they are consumer or business use cases – dropping the resulting case studies, success stories, surveys and testimonials back into the top of the funnel so a brand can engage new prospects while continuing to build brand credibility. Clients often ask how our team determines which bloggers we work with on their behalf and the difference in quality of coverage offered by ‘top tier’ national outlets vs. bloggers with smaller audiences. For the purposes of this post, I’ll use Baby Gourmet, our organic baby food and consumer goods client based in Canada, as a case study. 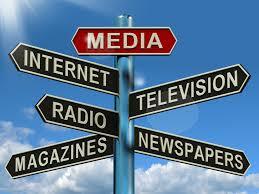 The first criteria for determining any media outreach is target audience. For Baby Gourmet we focus on a media mix of bloggers, news sites, broadcast, magazines and trade verticals with primarily Canadian readerships interested in parenting, baby + toddler, organic foods and recipes. The media mix is important because while coverage in national magazines and news sites can be great for a brand’s bottom line and as a tool for the sales team, bloggers with smaller but passionate audiences are sometimes more influential to their readerships. For one thing smaller bloggers tend to write extensive posts with a lot of site link backs and original photography while many times national media coverage may include Baby Gourmet combos in a roundup with competitor brands or simply feature a stock photo with a couple lines of description in the ‘Healthy Snacks’ section of its monthly issue. It’s rare for one brand to get a full spread in a national magazine or make the first page of the paper without either controversy or a really well-known C-team or entrepreneur driving the coverage. The media mix is also a great way to ensure consistent coverage and therefore good brand SEO, which is helpful as more people tend to do quick online searches before trying a new product or service. For Baby Gourmet, it’s important to have endorsements from the bloggers consumers consider ‘real moms’ especially when deciding between a brand for their baby. More frequently these decisions are made with a quick Google search from the grocery aisle. Bloggers are also a great resource for beefing up a brand’s social media following. In Baby Gourmet’s case, some mom blog giveaways have resulted in thousands of reader entries, weeks of constant post re-tweets, and augmented the brand fan base on twitter, Insta, Facebook. All this great social buzz for the price of a case of baby food pouches! I encourage any consumer goods brand to try and be generous with product if possible. It is in a bloggers best business interest to heavily promote brands and contests for their readers, not only to attract new readers and brands but also to increase the Klout of their outlet by constantly re-engaging loyal readers. While the goal of this post is to highlight why it’s important to maintain a rolling media mix and the benefit of engaging smaller bloggers, it mainly focused on a product PR campaign. There is so much more that goes into a hard-hitting media mix. Sticking with the Baby Gourmet campaign example, we also pitch the company founders for profile pieces and submit their expert bylines in pertinent outlets. We execute timely campaigns such as Healthy Halloween and 10 Years in Business milestones. We research and reach out with trends in feeding baby and recipe ideas. We set up face-to-face press meetings around new product launches and at trade shows. We track, nominate and submit for awards and pitch speaking engagement opportunities. I’m interested to hear thoughts on the PR side as to what makes a good media mix and the media side about potential to increase brand awareness by working with bloggers. Thanks for reading! I recently began looking for an entry level PR person to help me with my client load. I preferred this person to have the equivalent of intern experience; in other words, they must be able to navigate Cision and build clean target media lists, but client relations experience wasn’t a must. My search got me thinking, as I realized that response quantity far, far exceeded quality (the irony that this is the biggest complaint media have about PR people when shuffling through pitches is not lost on me, rather I see how this relationship of lack of quality is perpetuated throughout ones PR career) that it’s freaking tough to find someone equipped with the basic building blocks to be a rock star in this field. In the end, I hired the one candidate that had not only bothered to research my company and myself extensively, but even more importantly, she could write! She captivated me immediately with her pitch for candidacy, and dying art that it is, I was sold on her penmanship. I will never hire someone who isn’t an excellent writer because that person will not be successful pitching and they won’t be successful in written communications to their clients or their team. To be successful enough to climb the ladder at an agency and carve out a career in PR, most need to first hurdle the barriers of the below five subjects. 1. PR is not a passive career. Media are inundated with hundreds if not thousands of on-and-off messages daily. People looking to be successful in PR can’t expect to passively represent a company or product line and have media come to them. It doesn’t work like that. You could pitch the Today Show on a travel pillow on Wednesday and watch a segment on travel pillows air on Friday without your client’s product included. This happens all the time, even to those of us known to media as representing clients in the travel product industry for 10 years. To be successful, you need to be tenacious and follow up and try new angles. You need to pitch Today Show producers and then, if you don’t get a response, pitch Today Show contributors. Remember, most PR Managers are too busy to micro-manage a passive PR Coordinator and when they soon tire of milking you for results, they will fire you. 2. Organization is key. You need to be organized to the extreme. Starting out, a PR Coordinator is the person who will be pitching daily on an account. You will need to remember who you’ve already pitched, who is interested in your news, who responded negatively, who changed outlets or moved to a new beat. You need to have a ‘home run’ list of top outlets your client would like to see their news in and remember who you’ve pitched at those. You will need to try multiple beats at these outlets with multiple pitch angles fitting these beats. You need to give adequate time – but not too much – between follow ups. You will need to walk the line between persistence and annoyance. It’s a fine line and not everyone can balance it with the poise required. 3. You need to be a good writer. The very people you are pitching ARE WRITERS. They are busy writers on deadline who are constantly inundated with pitches. If you can get to the point concisely while clearly making a case as to why their audience would care, you break through the clutter. Many PR people complain about getting no response from media, no feedback. If you take the time to write a great pitch, chances of getting feedback are greater. 4. It’s as much Client Relations as it is Media Relations and they are not the same thing, not even remotely. First you have to understand, there is no media relations without clients to pitch. PR people need to be taught to listen to – and manage – clients’ expectations while also delivering them the results they expect from hiring a PR agency. You will need to discuss at length why audiences will care about their product/service, determine who the competitors are, where they fit in their market and pinpoint their market differentiators. I like to interview clients as if I were a member of the press to get this information. If you feel as though something is not newsworthy, tell your client that. At the end of the day, you are the expert and should be offering your guidance whether it is taken or not. Next you have to repurpose all the gathered client information, and break it down into relevant, easily digestible bits for the media. Then refer back to points # 2 and # 3. 5. It ain’t easy. I’m not sure if this is just my subjective point of view, but I feel like a lot of people get into PR because it’s supposed to be glamourous or an easy career alternative for those math and science challenged souls. There’s a reason why this job is constantly placed at the top of Most Stressful Job lists. We have no control over final outcome of a segment or story. PR is often a juggling act of accounts which place you as a middle man between clients and the media (at times you’re taking flak from both ends simultaneously). You may work for 20 hours straight one day for an opportunity canceled last minute by your client or the media. Or you may work 20 hours straight one day and never receive so much as a nod of acknowledgement for getting your client on The Ellen Show. You’re on call 24/7 dealing with politics and egos. Try telling a client a reporter called his/her ‘baby ugly’ in a national headline. Then explain to your boss why said client fired you. The list goes on. And on. I’ll finish by saying, the beauty of a career in PR – aside from the rewarding experience building friendships with media and clients, garnering great media coverage and watching a company grow in part because of your efforts – is getting to a place in your career where you can mentor a newbie PR Coordinator and watch them grow into a successful, tenacious, organized, writer beloved by clients and media alike.